When white light strikes a prism, the full visible spectrum of colours is revealed. While not strictly programmatic, it is the sequence of colours displayed that has determined the structure of the piece. The piece is divided into several sections, the character of each section being determined by the characteristics of each colour. 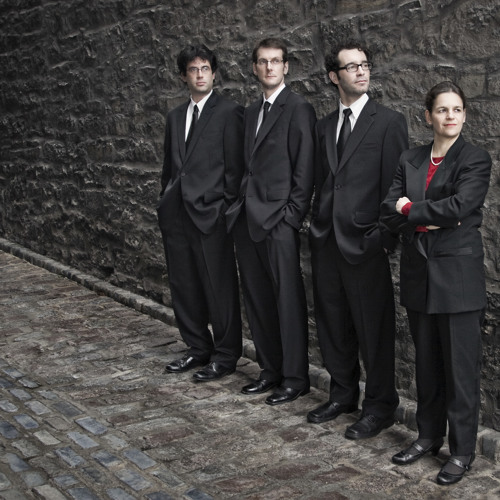 Premiered by the Molinari String Quartet (pictured) at the Conservatoire de musique, Montreal, as a winner of the 5th annual composition competition.